Many times now you've probably read about my love of the 2-player starter box for games. My first foray into miniatures gaming was via a 2-player starter. It's a great way to rope in... I mean... join in with a friend and have ready-to-play forces (once the glue dries, generally, anyway). Well, with the new edition of Warmachine and Hordes, Privateer Press has come out with new 2-player starters. They also have a new Cryx warjack box available today, too. 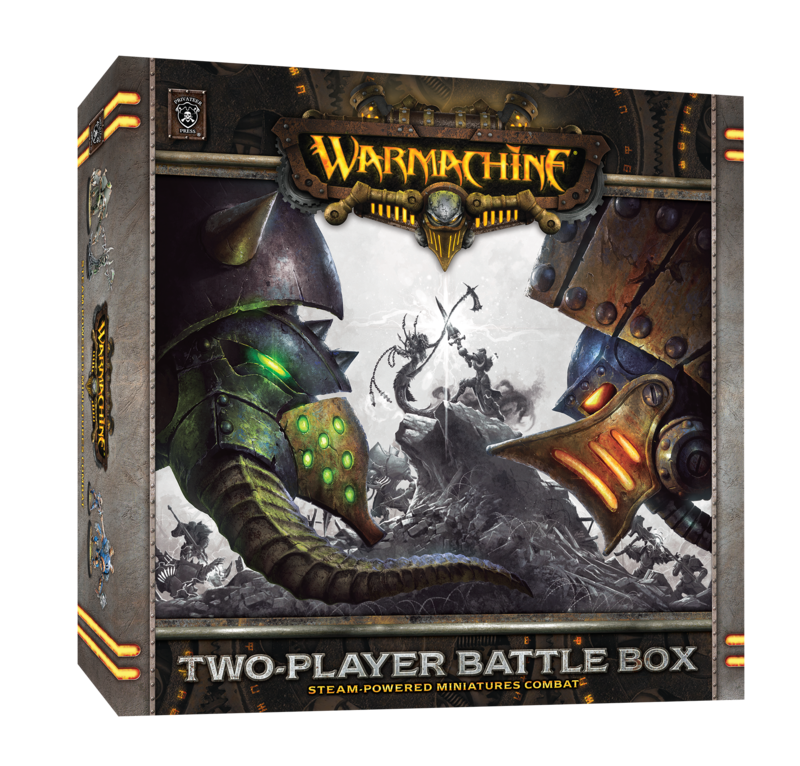 In the new Warmachine box, you've got Cryx versus Cygnar. It's the undead versus the lighting troopers. 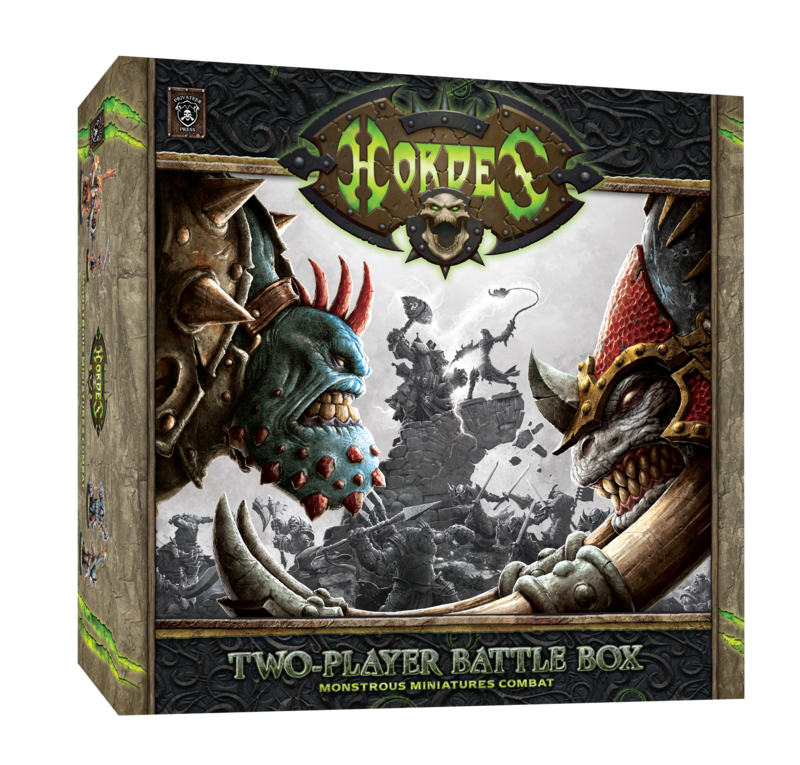 As for the Hordes box, you've got Trolls versus Skorne. Both are pretty tough armies, but only one will be the toughest. Finally, the warjack kit is the new Inflictor/Seether set. 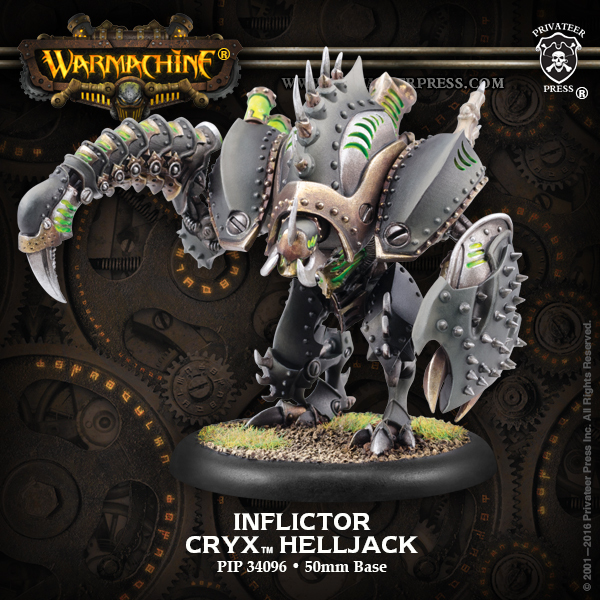 The Seether's been around for quite some time, but now you can make the Inflictor, a surprisingly defensive warjack for the faction. You can pick these up at your LGS now.